Hey Girl, Here's How to Plan Your Goa Vacay With Airbnb! We know it is just the beginning of the year, but 2019 has been a HUGE mood and I think you will agree with us when we say, we are ready for some chill time. If there is one place that is synonymous with relaxation, it is GOA. Ask anyone where they’d like to plan a quick trip to relax and rejuvenate Goa is definitely a popular choice!. But the question is how do you make the most of your vacay, and how to ensure that you have a Goa experience that is perfect for what you are looking at getting out of your trip? With Airbnb, your Goa experience starts right from your home and flows far beyond with host tips. 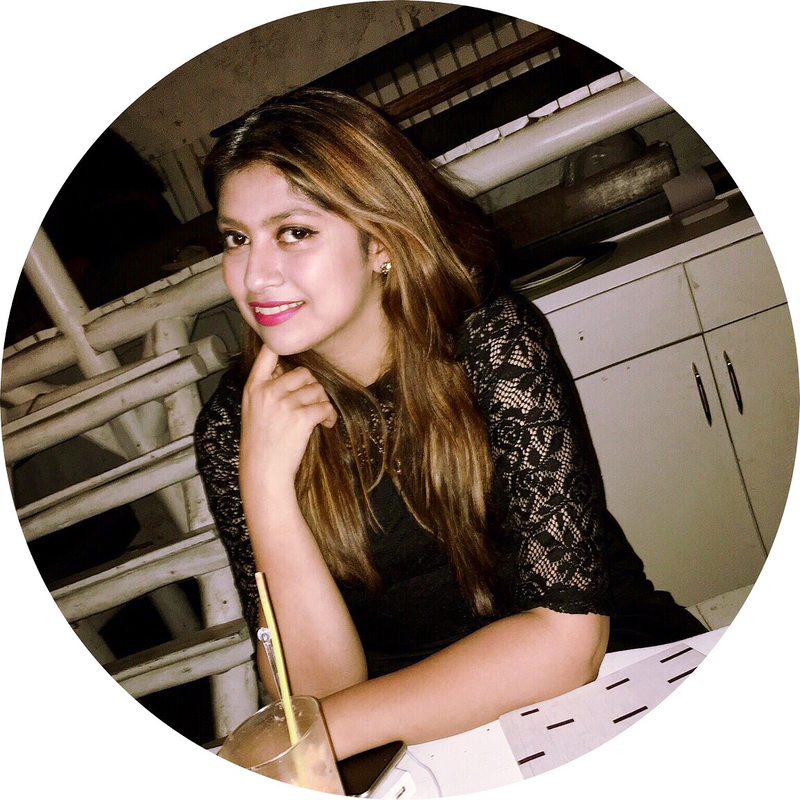 So, if you’re planning a trip with your girl gang or even planning on going solo there are many amazing Airbnb stays in Goa that would be the perfect fit for any kind of experience, all you need to decide is what you like. Situated in the heart of the bustling Siolim area, this condo is just what you need if you’re an urban traveller and are planning to spend most of your days at the beach. This condo has all the amenities that you would need with a breathtakingly green view. Not to mention that this condo is just a mere 20 mins away from the Morjim, Ashvem, Arambol, Vagator, Anjuna and Baga beaches in north Goa. This is the ideal spot for you if you are a nature lover BUT are also a little partial towards having modern amenities around. 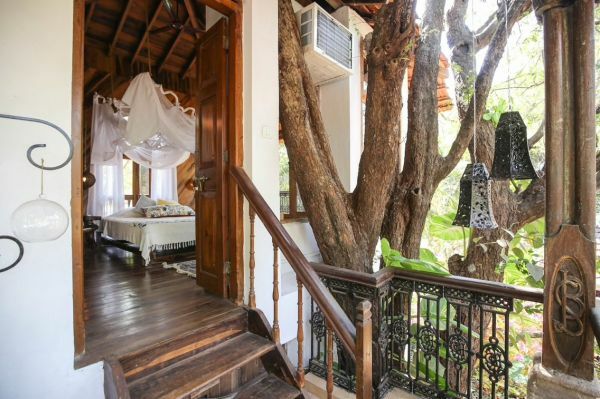 This tree house in Vagator is a habit built around trees without disrupting their growth. 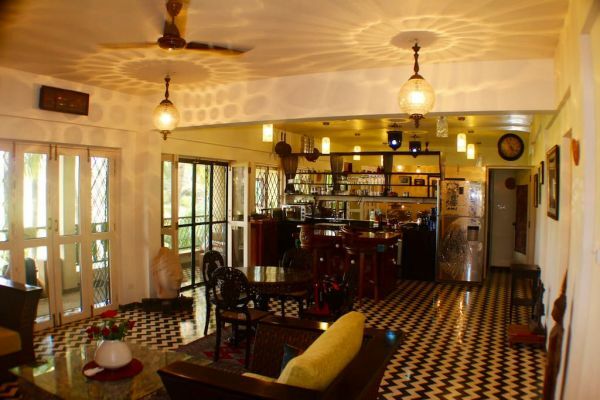 This spot is the ideal amalgamation of a cosy getaway with access to everything that’s hip and happening in Goa. 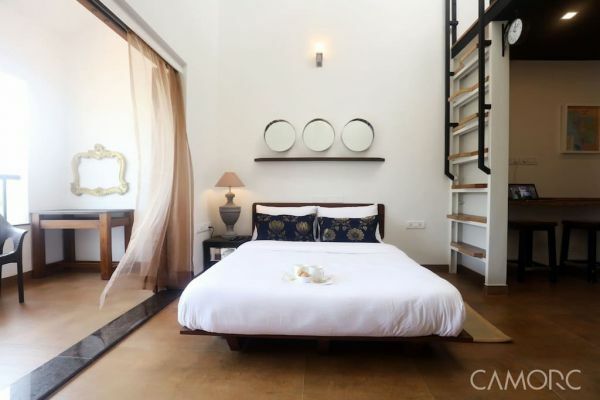 Our most favourite thing about this house is the bedroom, which is nestled between a tamarind tree and an acacia tree and overlooks a canopy of lush green foliage. If you feel like the place that you stay in needs to have character and it needs to have a story, THIS is the right one for you. This gorgeous art deco establishment just 15 mins from Anjuna has everything you’d need to be a setting for your vacay story. This 1540 sq ft apartment, has a glorious, quintessentially Goan 180-degree balcony view of National geographic like migratory birds and other wildlife. It is ideal for 4 people and has great spots inside the house for that perfect Instagram picture with your girlfriends. If you’re a firm believer in the concept of leisure travelling with luxe, this villa is ideal for your girlfriends and you to have a trip you will never forget in Goa. This villa in Assagao has all the modern amenities that you are absolutely used to. After you check in, this house wouldn’t give you a reason to ever step out (if that’s what you’d like to do). This place is ideal to have a party with your girls indoors, with a cookout or a chill time by the common pool in the complex. 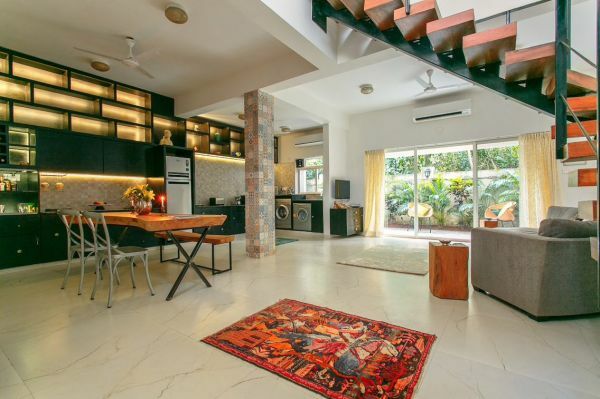 If vintage is your vibe in life, get this house on Anjuna for your next vacay! We feel like this would be perfect to go to with your girls not JUST because of the vintage decor and heritage vibe, but also the location in Anjuna. This elegant villa is close to the beautiful Anjuna, Baga and Calangute beach and also to the famous Club Cubana among many other sightseeing spots. Sit with your girls, make an itinerary and go forth and explore. 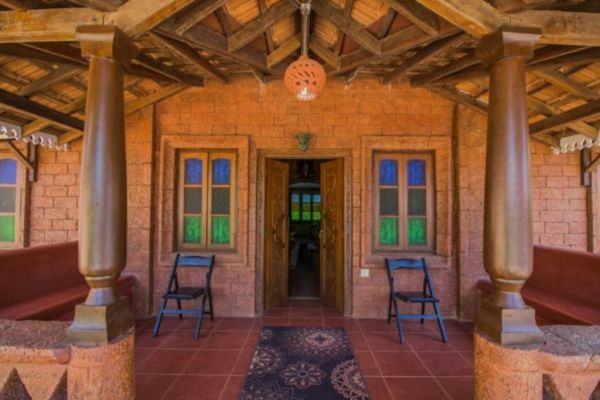 Airbnb has a lot more to offer in Goa. Every experience that you’re looking for is a click away now. The timing is absolutely right, plan your girls trip now so you can totally rock 2019 like a boss!